“We’re all in this weird world together” is a perfectly suited mantra to describe Phoenix, Arizona’s Sundressed. 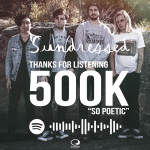 The quote, from vocalist and songwriter Trevor Hedges’ description of the message behind his own lyrics, is hopeful and unifying – and thoroughly summarizes the band. 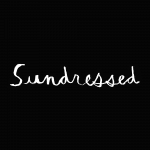 Sundressed was initially created, in part, to help vocalist & songwriter Trevor Hedges maintain sobriety. Years later, the calm of a sober life has allowed Hedges to take his struggles and successes and refocus them to a broader scope. What’s truly remarkable is that he’s managed to achieve this without straying away from his signature mixture of self-deprecation and eager determination. What’s left is an uplifting take on the heavier aspects of life, inspiring hope without treading into trite or conceived territory.